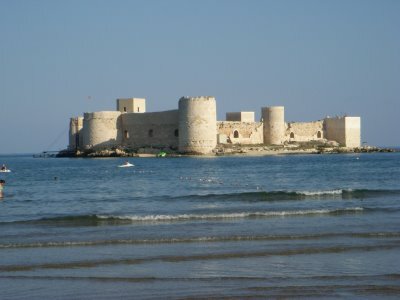 The Maiden’s Castle is a stunning view from the coast. The beautiful blue water makes this castle as if it’s floating on the sea. 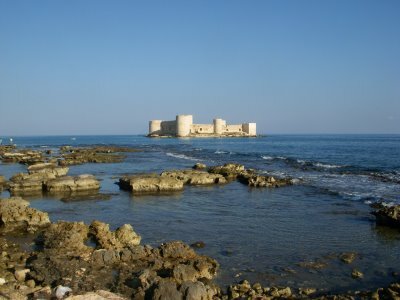 The above picture is the Mainland Korykos Castle on the shore, a causeway connected the two castles. 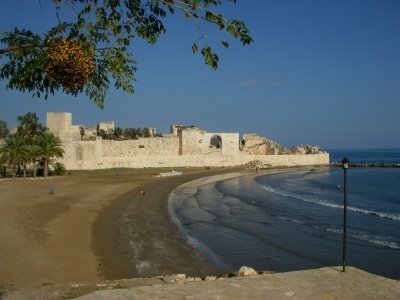 The above picture is taken from the Korkos Castle with the sun facing its right-side. 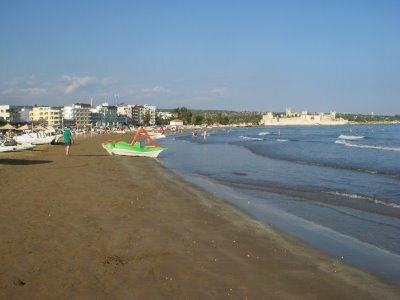 This area is a holiday beach resort, many hotels line the sandy beach. 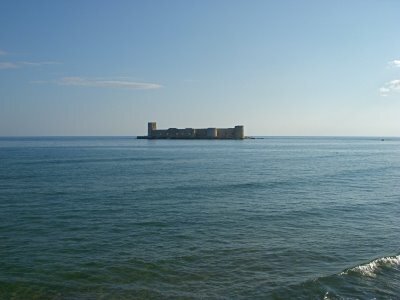 The Maiden’s Castle is only 200 meters which a person could swim out to the island. I met a German couple that nests in this area for five weeks a year. That is their style of a holiday, which for many people it works well. For some reason many tourists I have talked to have mentioned the same ideas—how do I get around, do I have a car? OK, there is the bus, although in the West people are spoiled with their cars. Just about all people express their concern about the weather. The majority express a fearful expectation. It’s a castle in a beautiful setting. Previous post: The Cave of Asthma.